Beautiful whimsical bird stencil made specifically to our design - very delicate 4"H x 13.3"W. Can be used as a side stencil or can be used as part of the pattern to cover cupcakes as shown. 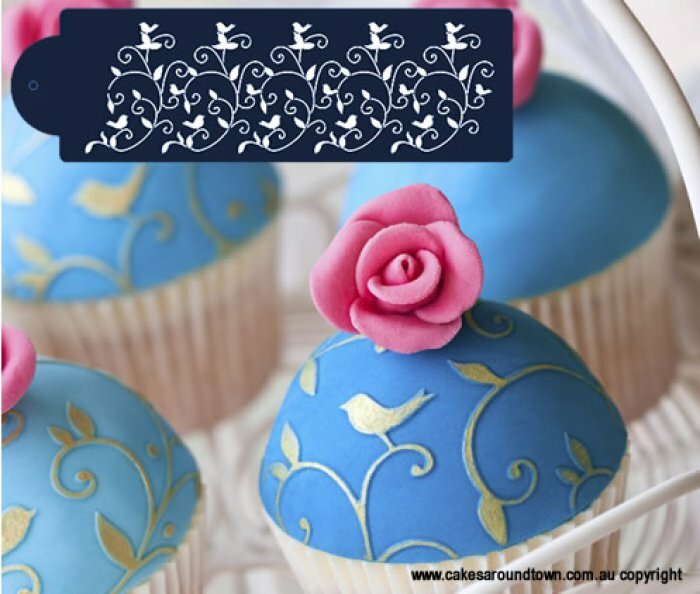 HINT: To get this effect in the image - the gold paint was painted or sponged onto the Blue fondant. 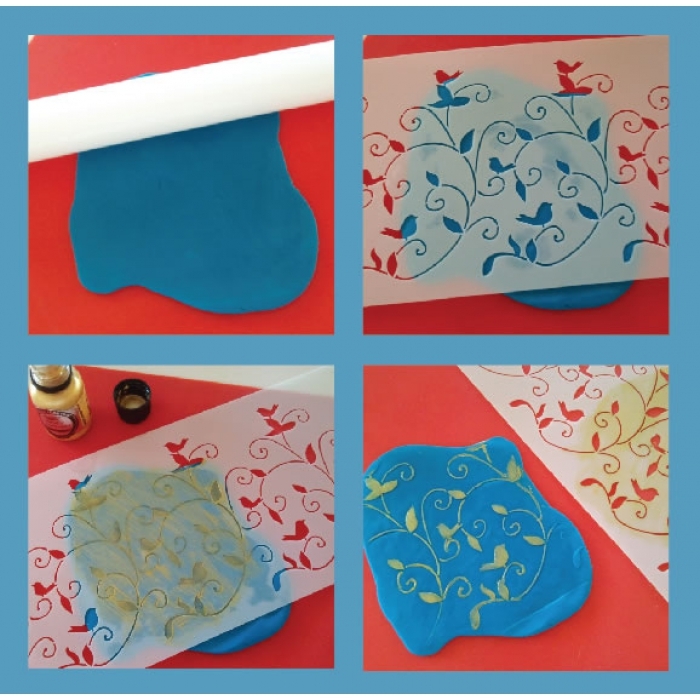 Press your stencil design into your fondant first to create an embossed look and then paint. The stencil is made of durable 10 mil food grade plastic for high-quality, professional, repeat use. Watch this Video To see Greg Cleary use this stencil on white fondant! COOKIE CUTTER - Mini Heart 1.5"